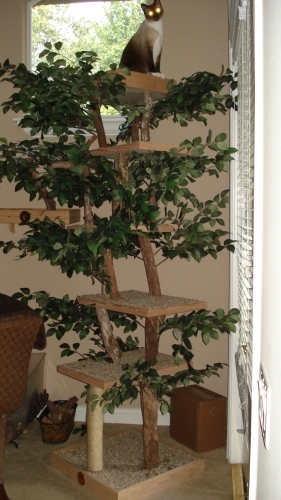 Pet Tree Houses offers a wide range of custom and special needs trees for those who require something other than what is offered on our site. 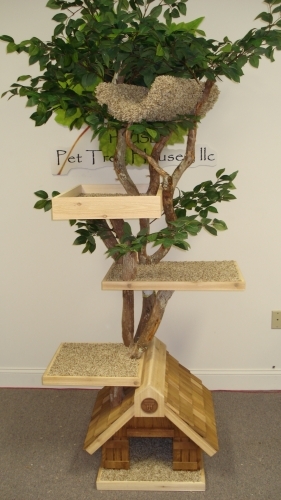 Pet Tree Houses offers a wide range of custom and special needs trees for those who require something other than what is offered on our site. 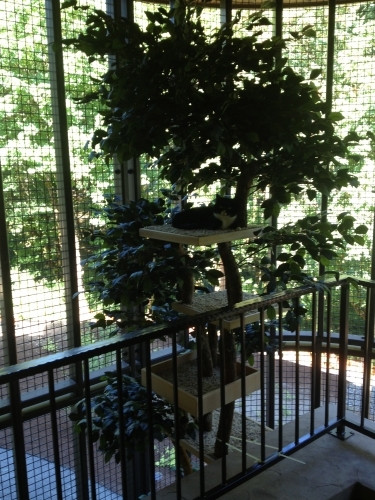 We have produced many trees for use in shelters and boarding facilities around the country. 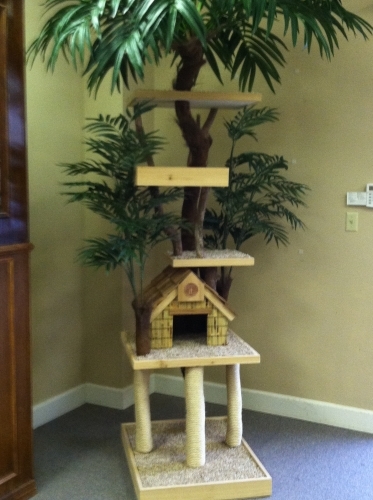 In addition, we can also create trees for large breed cats and those with special needs. 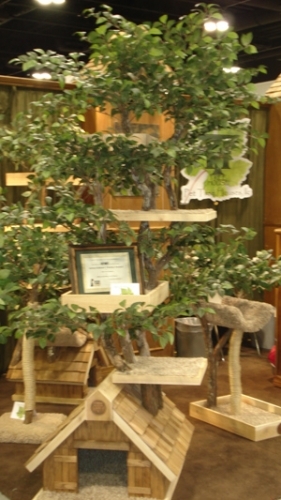 Simply email: humans@pettreehouses.com or call us: 1-877-971-TREE (8733) with your specific requirements and we are happy to assist you in creating the perfect tree for whatever you may need. These are just a few of the custom trees we have crafted. 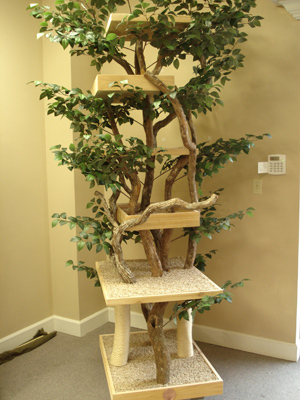 We can craft smaller or larger trees depending on your cats' needs and the space you have available to put the tree.